Its negative effects are equal to smoking 15 cigarettes a day, being an alcoholic, or never exercising. And it is twice as bad for retirees as obesity. But almost no one talks about this silent killer in retirement. What is it? Before rolling your eyes, hear me out. 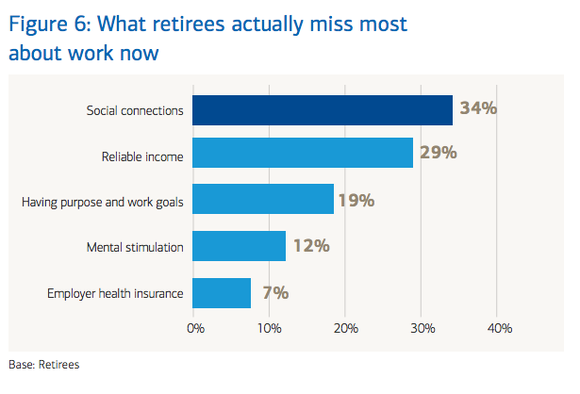 In 2013, Merrill Lynch and Age Wave (MLAW) conducted a study asking pre-retirees what they would "miss most about work when they retire." By an enormous margin, "a reliable income" was the most popular answer. Then MLAW followed up by asking a group of currently retired folks what they missed the most about work. While "reliable income" was still relevant, the responses were starkly different. 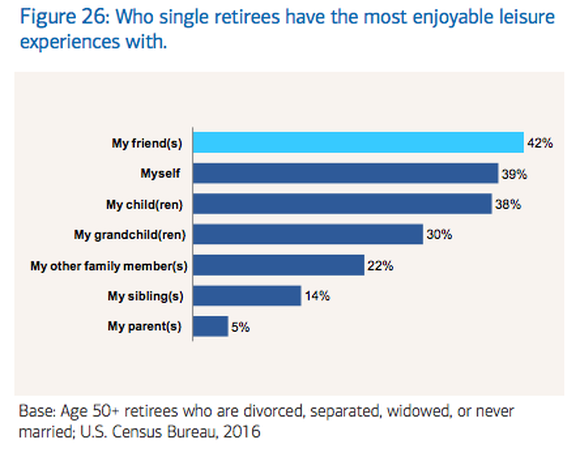 If we combine "social connections," "having purpose," and "mental stimulation," these softer variables account for 65% of the most pressing losses retirees face in their post-work lives. 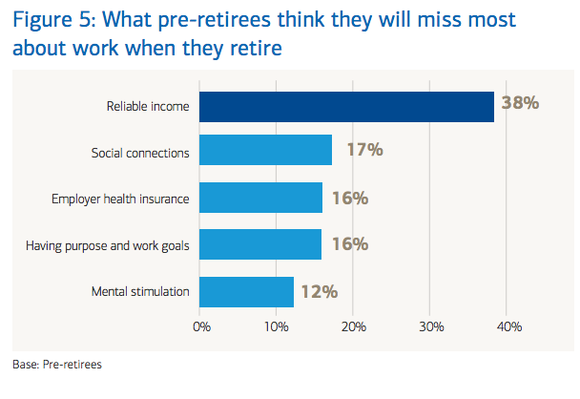 That tells us there's a glaring contrast between what we think is important in retirement while we're still working, and what's actually important once we reach that stage. What is the "New Social Security"? Which sounds like more fun in retirement: going golfing everyday, or cleaning up trash on the side of the road? 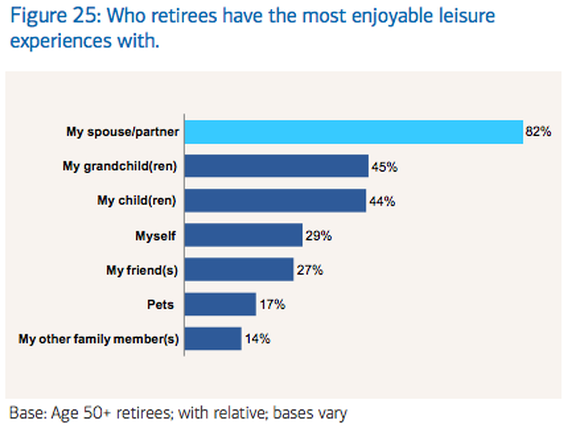 According to MLAW's latest study -- Leisure in Retirement: Beyond the Bucket List -- it could surprisingly be the latter. That's because the majority of retirees say their enjoyment depends more on who they do an activity with than what they are doing. If the choice is between golfing alone or cleaning up trash with your kids and grandkids -- most retirees will gladly throw on a pair of gloves and collect the garbage. That's one aspect of what MLAW defines as "The New Social Security": "the value [that] social relationships [add] to mental and even physical health, [which] has been shown through numerous studies." There were two other findings of significance for soon-to-be retirees regarding this "New Social Security" offered by one's friends and family. First, if you are married, you're likely to get the most pleasure out of being with family -- including your kids and grandkids. However -- and this is a key difference -- for those who were single (divorced, separated, widowed, or never married), it is time with friends and time alone that is most valued. What does this mean for your finances? If you take the advice of current retirees and learn from their experiences, you know that living near family and friends is vital to your physical and mental health in retirement. There are a number of steps you can take -- financially -- to help make this a reality. If you live far away from family, start doing your homework now to figure out what you need to do to sell your house, and buy a new one near your family. Make sure to discuss what boundaries will need to be set if this is a brand-new living situation. If your best friends and your family live in totally separate areas, start budgeting for travel. The same MLAW study found that 77% of retirees have done "hardly any" planning for their leisure activities over the next five years. By planning ahead, you can prioritize money spent on travel to maintain healthy social connections with those you care about. 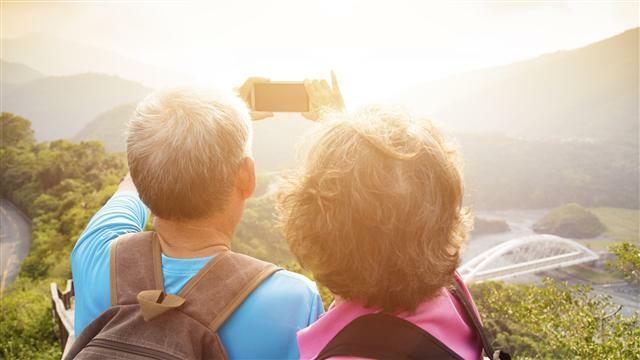 Retirement planning is a complex process. Often, we prioritize making sure we have enough to maintain a similar lifestyle in retirement. But the fact of the matter is, our lives change markedly once we enter retirement. Understanding this can help our pre-retirement planning match what will actually matter in our golden years. Help fund this lifestyle with the $15,834 Social Security bonus most retirees completely overlook.